Wondering Why Purple in Winter? “Violet hues are always in style for every season. They play with spring tones, but still have a wintery vibe,” explains color superstar, Larisa Love. Wash hair in lukewarm-to-cold water, no more than twice a week, max. 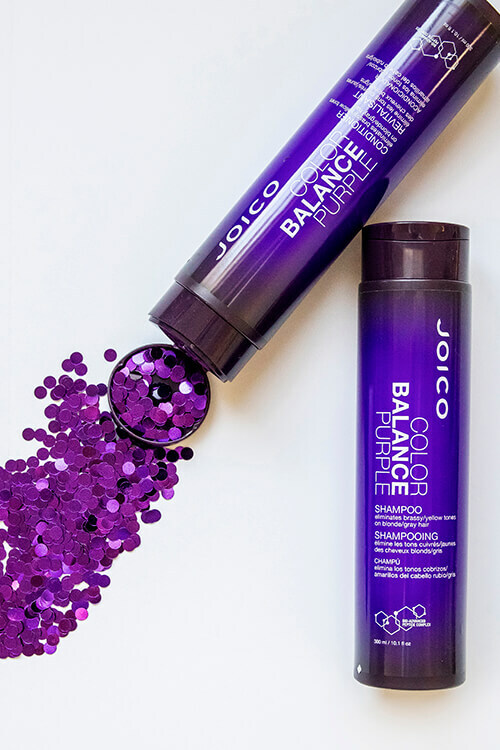 • Make sure to use a professional color-protectant product every time you cleanse – like Color Balance Purple Shampoo and Conditioner. 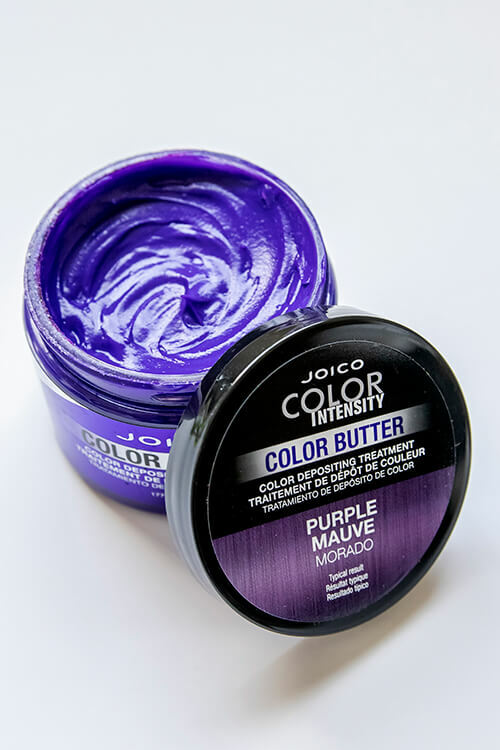 • Extend the longevity of your shade with Joico Color Butter in Purple. • Ready to transition out? It’s easier than you think, explains Larisa Love. 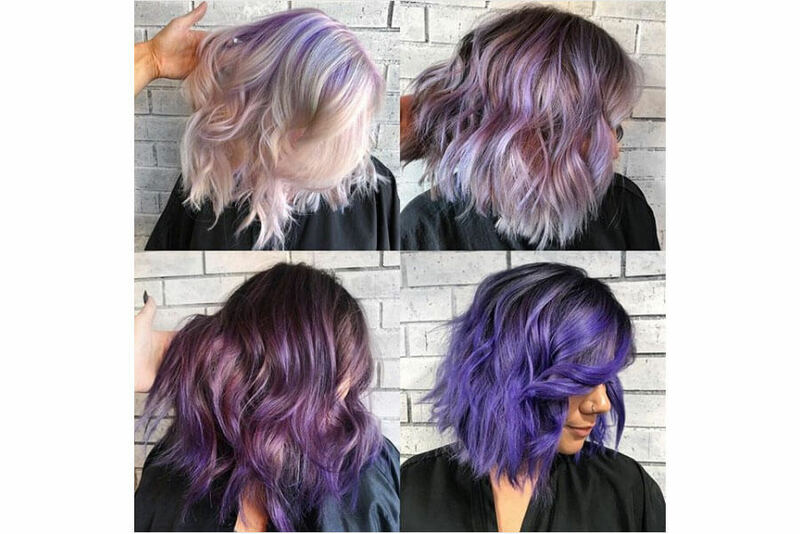 “Because purple cancels out warmth, it fades beautifully and naturally.” Chomping at the bit to move forward to your next look even faster? Simply re-tone hair to the newly desired color.